Agawam Youth Hockey is a non profit youth hockey organization serving the towns of Hamilton, Wenham, Ipswich, Essex and Manchester. Agawam Youth Hockey is part of the Mass Hockey organization and participates in the Valley Hockey League. The organization anticipates 120 players in the 2018-2019 season and is open to all players of youth hockey age (4-14). Agawam Youth Hockey offers programs from Mite Instructional through Bantam. Learn to Play/Learn to Skate is the entry level Agawam program. The children are new to skating and hockey. Typical age range is 4-7 yrs old. It is held on Saturdays and Sundays at 7:40 a.m. begining in early November at Pingree Rink in Hamilton. The program focuses on the fundamentals of skating and hockey through small area activities and games. 1 to 2 practices per week and 1 game per week for the Mite Instructionals. The games are all played in Newburyport at Graf Rink and will be held on Saturday or Sunday each weekend. Mite is the program for children born in 2010 or later and who are not participating in the Mite Instructional program. 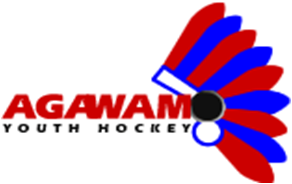 Agawam usually has 2-3 Mite teams per season and the players are grouped according to skill. Tryouts are held in March or April to identify preliminary placement of players. Squirts is the program for children born in 2008 and 2009. Agawam usually has 2-3 Squirt teams per season and the players are grouped according to skill. Tryouts are held in March or April to identify preliminary placement of players. Final placement of players to their permanent team will be completed after the Valley League parity round that ends in early October. Pee Wee is the program for children born in 2006 and 2007. Agawam usually has 2-3 Pee Wee teams per season and the players are grouped according to skill. Tryouts are held in March or April to identify preliminary placement of players. Final placement of players to their permanent team will be completed after the Valley League parity round that ends in early October. Bantam program isfor children born in 2004 and 2005.